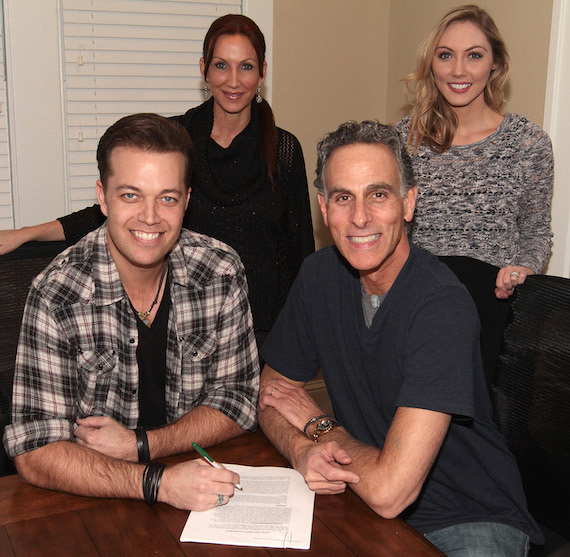 Reviver Records announces the addition of rising country newcomer Lucas Hoge to its country roster, which also includes duo LoCash, American country-rock group Blackjack Billy and Mississippi-born singer/songwriter Samantha Landrum. Following the release of Hoge’s summertime anthem, “Flip Flops,” Reviver will launch his debut radio single, “Power of Garth,” this spring. Reviver Records is distributed by BDG, via SONY RED. The Nebraska-born Hoge has been awarded “Country Album of The Year” with his debut album, Dirt, at the 16th Annual Los Angeles Music Awards. He was also named Contemporary Christian Singer/Songwriter Of The Year for his song “Get The Door,” at the awards.